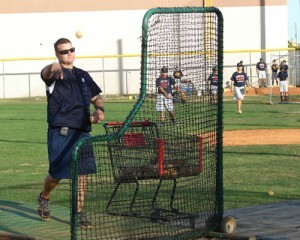 Doral head coach Ernie Gonzalez prepares his team for the Spring 2012 season. When we stopped by Doral’s field to interview coach Ernie Gonzalez, one word came to mind: fresh. Doral’s campus was fresh, their practice uniforms the same, and most importantly, their attitude was as fresh as the morning dew. Doral has middle school, junior varsity and varsity squads, and all three were on the field, dressed in their Doral gear, preparing for the start of the season with enthusiasm. Coach Ernie Gonzalez is in his third year at Doral, and he already is proud of his team this season. As the pep in the team’s step keeps the practice rolling on, coach Gonzalez chides them wisdom: “Great players need to make great plays.” A poignant message to his players as they take infield. A message clearly received as they dove for balls and cheered each other on. 174 wins, 174 losses, and 2 ties. This is coach Oscar Benitez’s record at LaSalle. Does he care that his record is neither winning or losing? No. LaSalle competes with the best of them year in and year out, and that toughness is a reflection of their resilient head coach. Elier Rodriguez is regarded as one of the stronger players in the whole county. Jonathan Cata is a rock behind the plate. Yordan Piedra’s got the wheels. Nick Canino controls the infield. And Mike Avila is a slugger who coach Benitez is very confident in. LaSalle is on the watch for Doral Academy, led by coach Ernie Gonzalez, a former player on coach Benitez’ squad. 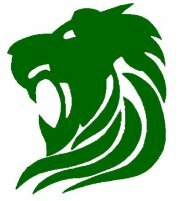 They bring a serious challenge to the district, and in order for LaSalle to win it, they’ll have to be great. 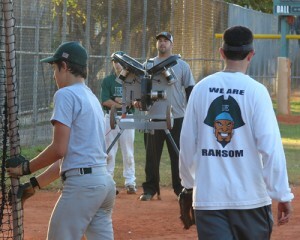 But they, too, are hungry this year, after being bounced by Gulliver in last year’s regional quarters. Steve Suarez is the fourth coach to take on the head coaching position at Ransom in the past seven years. Ransom is known for its successful tennis, swimming and water polo, but mostly for its rigorous academic program. All of these factors mixed with a rise in lacrosse popularity results in a tough sell for Ransom’s talent. Suarez inherited a young group of ballplayers. When we caught him, he was trying to finagle his schedule so the boys could take the SATs and practice all in the same Saturday. The team lost its most talented player, Nick Neitzel, but it returns a wealth of young blood. Ransom looks to duke it out with newcomer TERRA, and the Raiders expect to put up a good fight against district rivals LaSalle and Doral. This should be an incredibly competitive district. Not much is known about this team except that the district’s coaches are not ruling them out. TERRA is a 3-year-old school that is focused on environmental studies. Their coach, Hernan Adames, has been with the club since the school began, and the other coaches agree that he knows what he is doing. Even though they don’t have a single senior player, they are expected to compete with the rest of the district.